Part of my job is encouraging ministers in the CBF Fellows, a program for new ministers in their first ministry position after seminary. Twenty-five ministers from across CBF are learning together and supporting one another in their “first-call” ministry positions. This experience also uses Minister Support Teams from each local church to encourage these Fellows. These teams are to provide support and nurture their respective ministers. These support teams extend the conversation beyond the typical, “how are you doing today?” questions. Team members seek to relate to these young leaders as friends, to share life with in community, to be a source of affirmation for them, to pray with them and for them. The Ministers Support Team is committed to the new minister’s growth and success. These teams remind the minister–and the church–that support and fellowship are vital for everyone, not only for survival, but to thrive in ministry and in life. Although your congregation may not have a CBF Fellow serving among you, you most likely do have a Pastor or Minister. During this Advent season, consider how you can honor the calling of the ministers serving your congregation. Think of what gift you can offer that supports and nurtures ministers–new and seasoned; young and old–in lasting ways over the next few months. Pray with your minister: Some of the most powerful moments in the life of a minister are when fellow Christians offer to pray with them. Your ministers also deal with the stress of their home, their work and their own lives. Though they may not share openly with you, your offer to pray is greatly appreciated. Schedule a time to stop by their office to pray with them. Make this time brief but genuine. Let this be a tangible reminder that you care as deeply about them as they do for you. Talk with your minister: Relationships are rarely formed in committee meetings. They are built when people share their lives in the mundane and everyday-ness of life. A gift you can offer your minister is to ask them better questions than “How are you doing?” Consider asking about their story, ask about the three most influential people in their life, ask about their favorite childhood memory, ask about their calling to serve the church–each of these questions lend to building a deeper relationship between you and your minister. Eat with your minister: Consider inviting your minister and their family to an occasional meal either in your home or out in the community. Some of the best relational experiences happen during a meal. This time of communion with your minister should simply be about fellowship and fun, never about church business. The goal of this gift is to offer a no-strings-attached meal with your minister, eating together for the sake of sacred community. Take time to thank your minister this Christmas for the love, time, and energy they give to your congregation. God’s call on their life is a blessing to you, your community and to our world. Now, you go be a blessing to them! 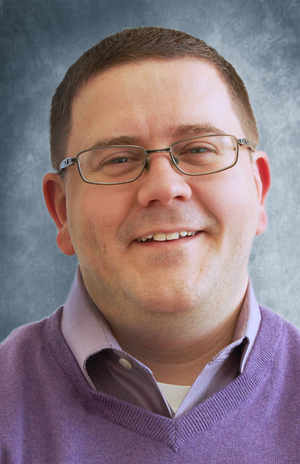 Josh Speight is the Missional Congregations Services Manager of the Cooperative Baptist Fellowship.